Extending a hand to support a more dovish monetary stance, Federal Reserve Chairman Jerome Powell signaled a pause in hiking rates in 2019. 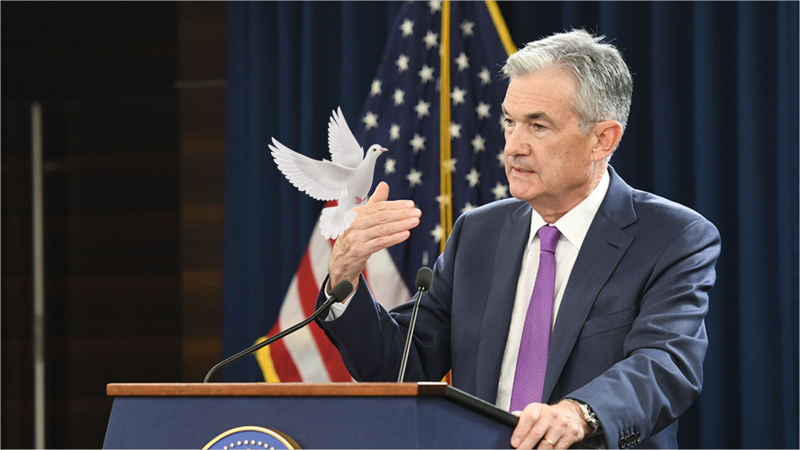 In a speech on Wednesday, Powell tempered previous remarks about the Fed's views on interest rate hikes. The news cheered investors in stocks as newly released inflation data encouraged the Fed chair's more dovish posture. 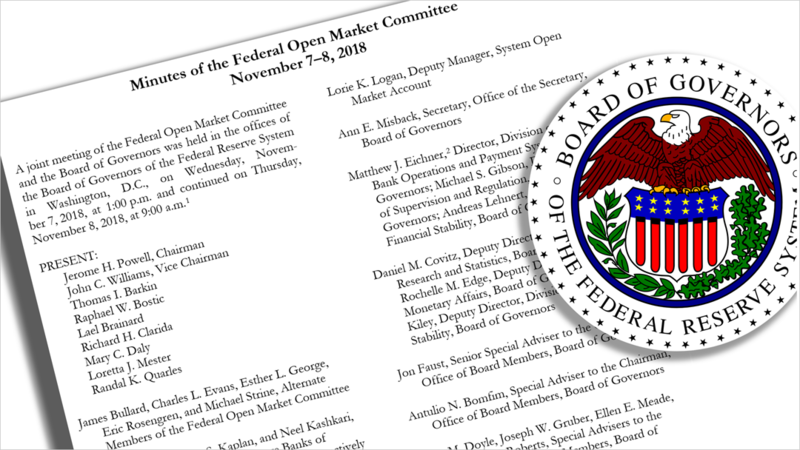 The minutes of the Fed's meeting held three weeks ago were released Thursday and indicated another interest rate increase was "likely to be warranted fairly soon." It's forecasted a rate hike for December and that is still widely expected to occur. However, a pause in rate hikes seemed more likely after this week's events and economic data releases. As the U.S. expansion hurdled past its 113th month, a key Fed inflation barometer, the personal consumption expenditure deflator (PCED) for the 12 months through October was +2.0%, unchanged from the 12-months ended September, and down slightly from August and July's 12-month rates. 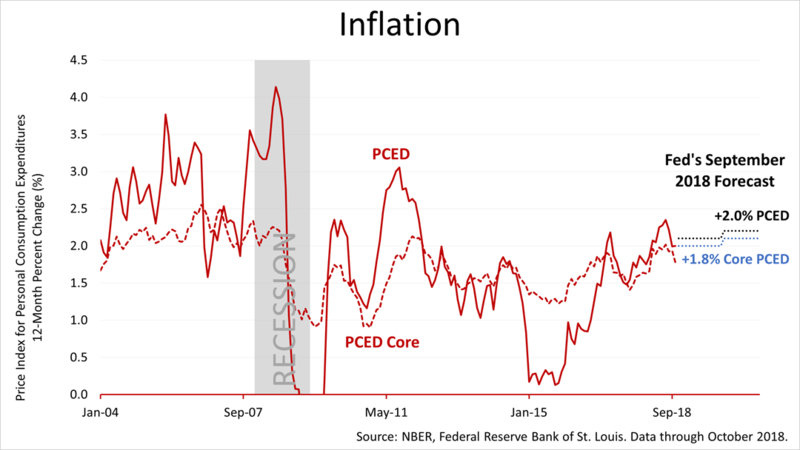 The core PCE deflator — which excludes volatile expenses and is an important inflation metric — was +1.8% y/y, down from September's +2.0%. Inflation softened. 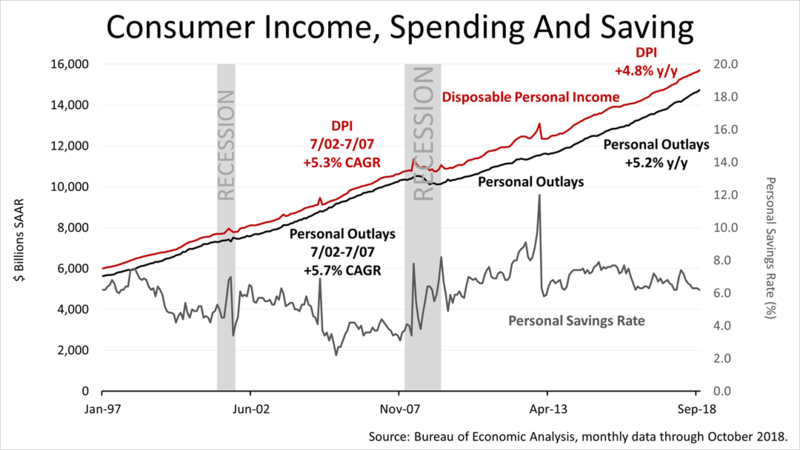 Meanwhile, consumer spending and disposable personal income (DPI) figures for October released on Thursday showed continued strength, even as the savings rate remained substantially higher than in the last economic expansion. This suggests that Americans are in good shape to spend and fuel economic growth but at the same time they're socking away more than they did in the last expansion. The 4.8% DPI figure for the most recent 12-months through October is lower than the 5.3% DPI averaged annually in the last expansion. But that's before inflation. 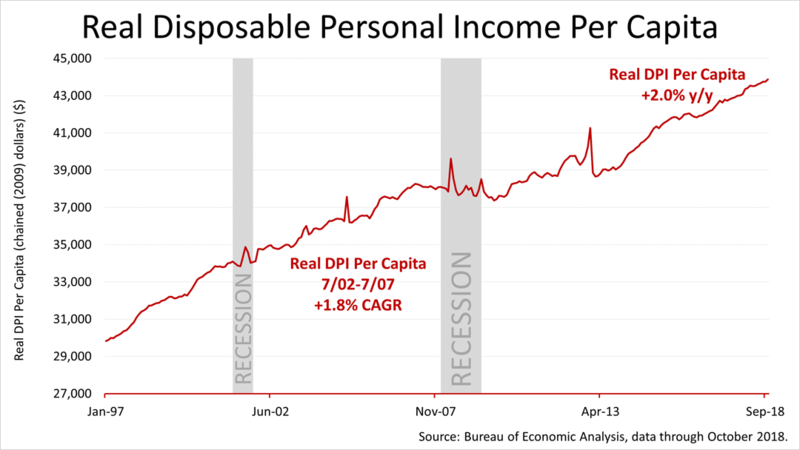 Adjusted for inflation, real DPI per capita is higher than the rate in the last recession! That's an important statistic you do not see in the media too often. To be clear, growth in real DPI per capita has lately exceeded the +1.8% 12-month rate of the July 2002 to July 2007 expansion, and that was considered a strong expansion cycle. 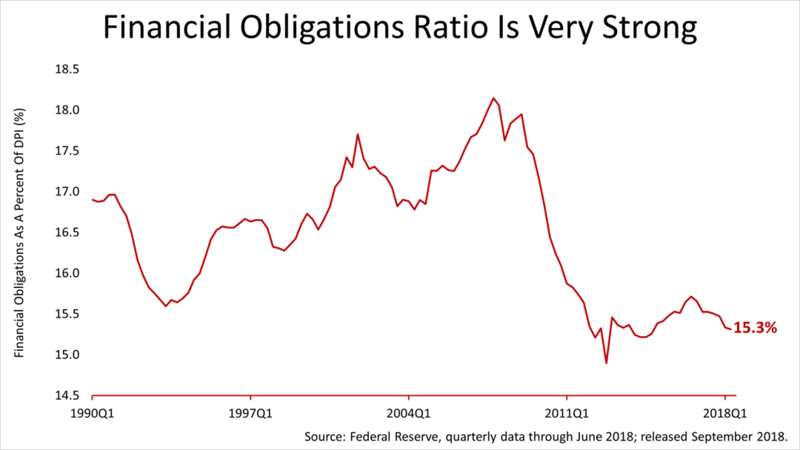 The financial obligations ratio, another metric believed to be important to the Fed, remained close to a record low. That's really good. It indicates that consumers through the end of June, the most recent period for which data is available, were in about as good shape financially as they've been in post-War history. Consumers ability to meet their monthly expenses has rarely been as easy in post-War America. 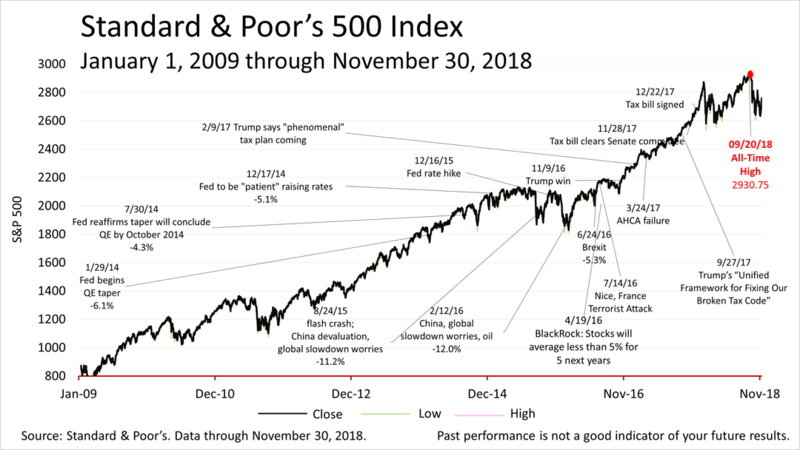 The Standard & Poor's 500 closed on Friday at 2760.17, up 4.9% from 2632.56 a week ago, and 5% from its all-time closing high on September 20. This article was written by a professional financial journalist for Landmark Wealth Management and is not intended as legal or investment advice.